Save Web Pages Intact For Reference Using Bo.lt | Brand On! I’m a big fan of online bookmarking apps that let you save web addresses and such. But most of these only save the link and not the actual page as you originally found it. That’s too bad, because sometimes you really want to refer back to a killer design or an article that may disappear weeks or month later. Fortunately, there’s a site that will save full pages for you called Bo.lt. It’s free and requires the Chrome browser. Any time you come across a page you want to save, you just use their Chrome extension or bookmarklet and pick the image you want to represent it with. You can also add a comment and choose a collection to put it into for easy sharing and retrieval later. 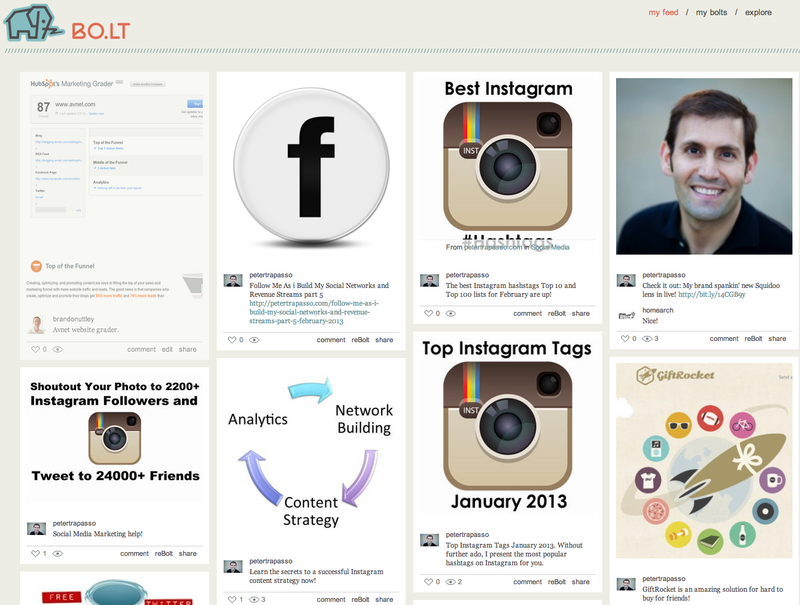 Bo.lt looks remarkably similar to Pinterest. You can also share your Bo.lted sites to Facebook, Twitter, Tumblr, Buffer and Pinterest.